Brunch: Everyone’s favorite meal of the week. 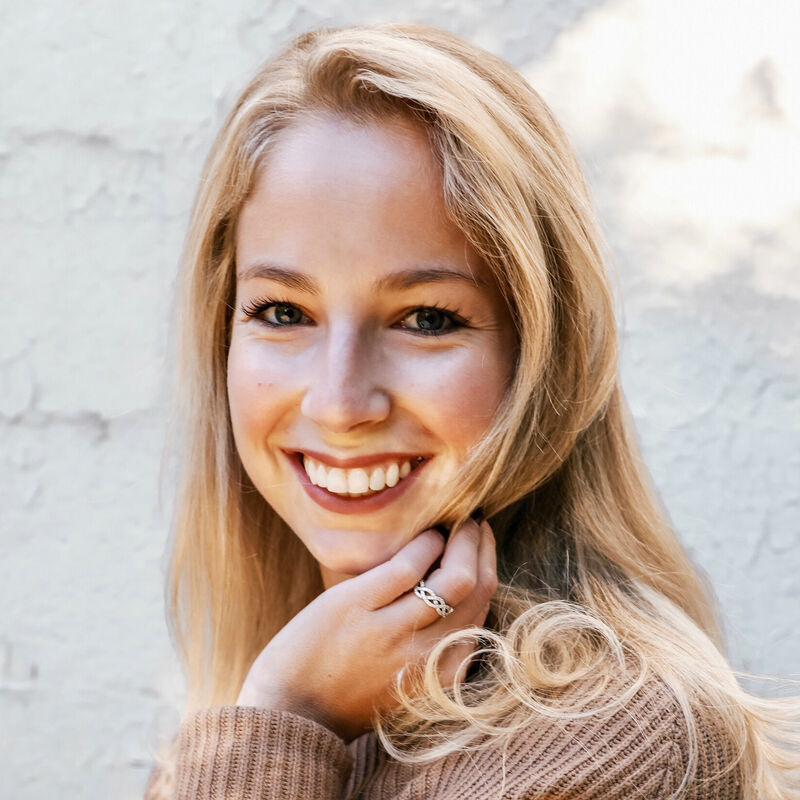 The weekends roll around—no matter what time of year—and girls in top knots and guys in sweatpants are flocking to get their avocado toast and almond milk latte. It’s a staple of city culture, Detroit included. Typically, brunch is thought of as a decadent, super-unhealthy, and indulgent meal, but we’ll tell you it doesn’t have to be. 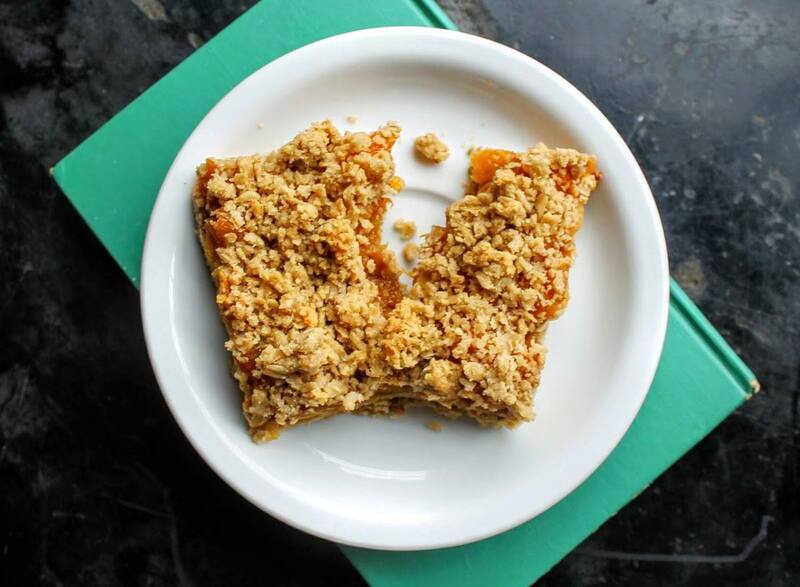 Metro Detroit has healthy options that actually rival the real deal! Say goodbye to your plain egg white omelet with spinach and hello to some creative and delicious brunch menu items that will give you another reason to count down to the weekend. This cozy Corktown spot is a vegetarian brunch-lover’s heaven. Brooklyn Street Local has all of your brunch faves with a healthy twist. You’ll totally dig the breakfast hash with tempeh — it’s loaded with roasted veggies (so good!) and topped with a perfectly-cooked sunny-side up egg. And all of the ingredients at Brooklyn Street Local are locally-sourced (makes sense) and sustainably-crafted. It tastes good AND feels good to eat here. 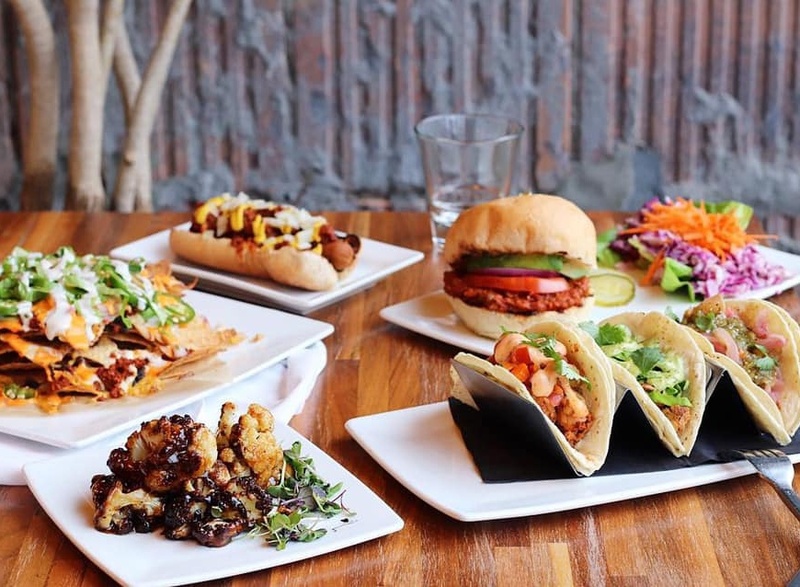 This popular spot is serving up delicious vegan eats down in the West Village. Having gained a lot of buzz lately, we’ll substantiate the claims and tell you this Sunday brunch will not disappoint. 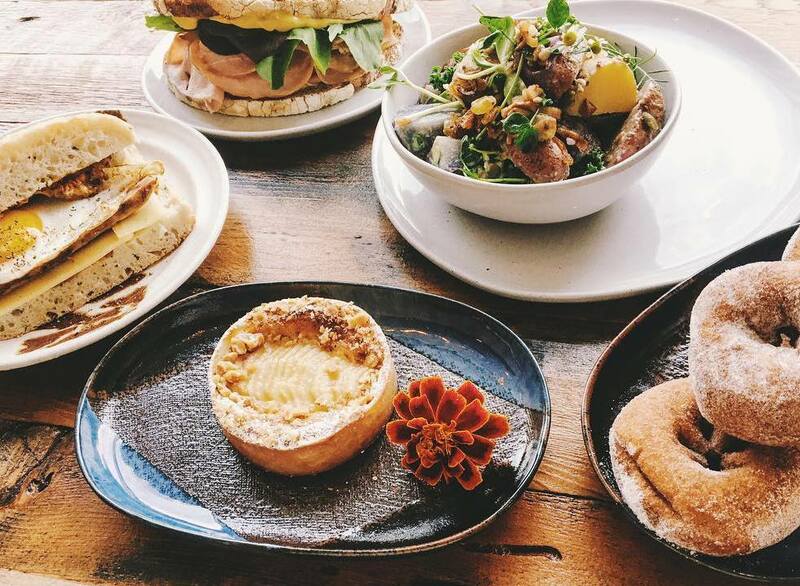 You would think a 100% plant-based restaurant would have a hard time bringing a hearty brunch to the table (America loves bacon and eggs), but the dishes are creative, unique, and, of course, tasty! You’ll go back again and again for the sweet potato stacks (and dreaming about them later). Plus, the West Village in Detroit is an amazing neighborhood to explore afterward! The Farmer’s Hand knows local food. Seriously, every item (food or good) sold between their four walls is sourced from the state of Michigan. This gorgeous space is much more than a café too; it’s also a grocery store and local goods shop. Cool, right? And being hyper-seasonal, their menu changes all the time, so brunching there on a Sunday will always have some good surprises in store. This Detroit favorite has newly opened a huge space right downtown on Woodward Ave. Beyond the Avalon Cafe & Bakery classics of hand-crafted 100% organic bread and vegan baked goods, this space serves up some delicious brunch-able bites. Their Shakshuka is off the charts. No, wait — actually it’s a dream. Get down with baked farm-fresh eggs in a spicy tomato base with goat cheese and organic bread. 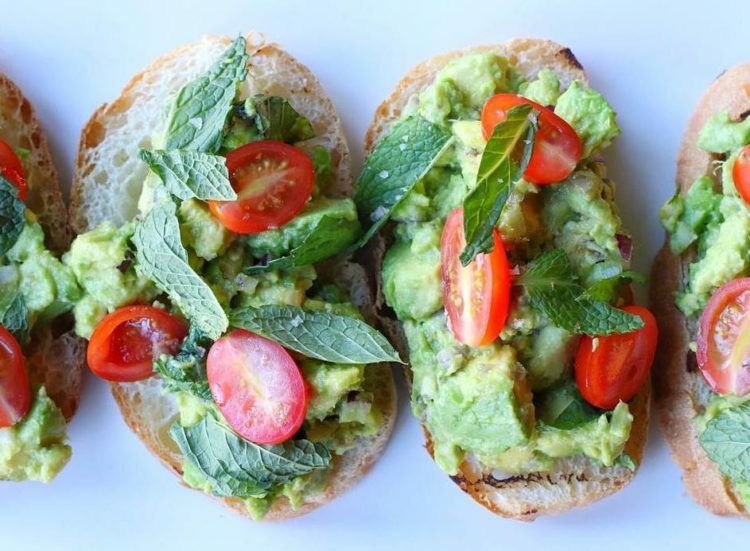 And for our basic friends (no shame), their avocado toast is out of this world. 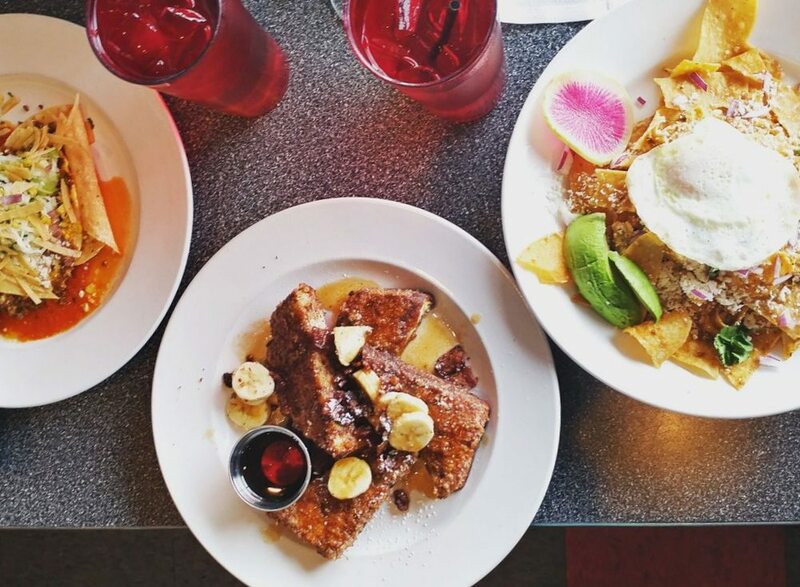 This Ferndale favorite is now serving brunch and we are super excited! GreenSpace is 100% plant-based and 100% delicious. Here, they serve up some deliciously vegan purple pancakes (we’ll give you a second to take that in) and a beyond-amazing potato breakfast hash. To say their dishes are creative is an understatement; even the biggest of vegan skeptics will enjoy their meal here. 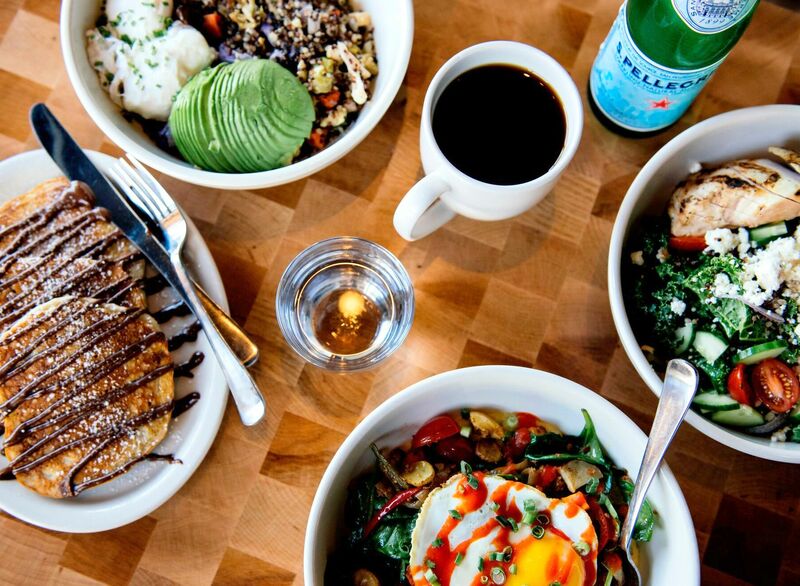 One of our favorite Birmingham specialty coffee shops also serves up a stellar healthy brunch. 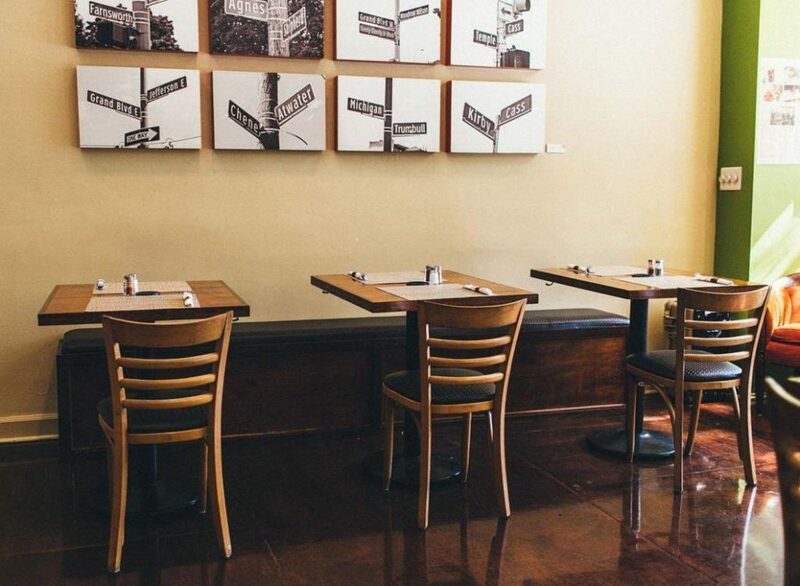 Next time you find yourself beautiful Birmingham, enjoy some brunch in this gorgeous space. We highly recommend the quinoa breakfast bowl; it’s a power bowl that will keep you feeling amazing until dinner. They also change up their brunch features based on seasonality. 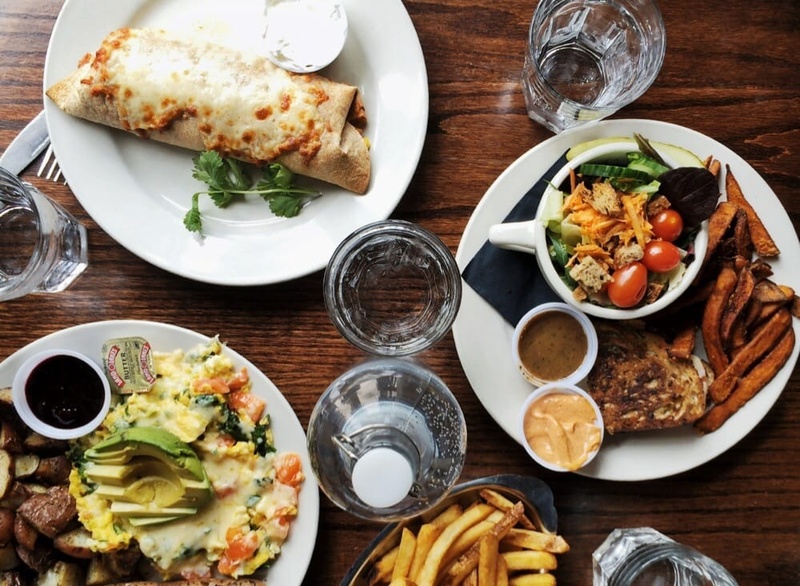 And as a bonus, Commonwealth serves brunch-y foods all week long — we can definitely take in those weekend vibes on a Wednesday. Seva makes healthy vegetarian food really fun. 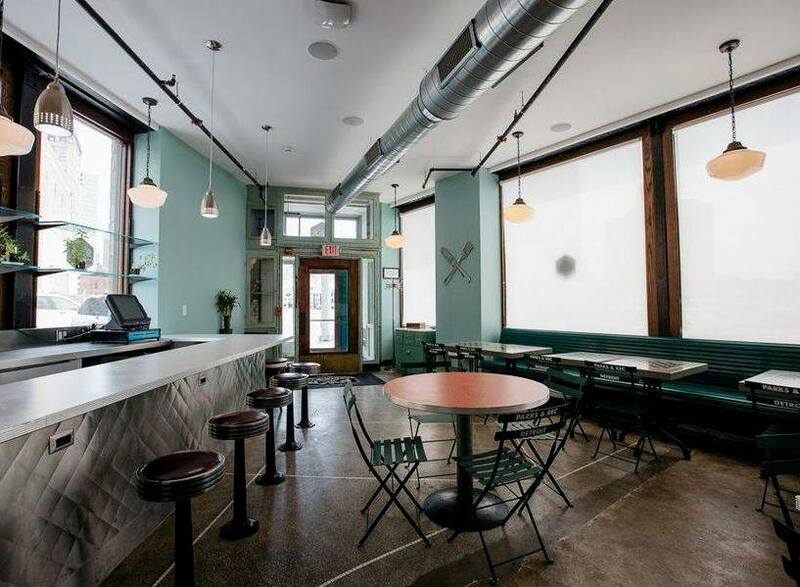 Any foodie (meat-eaters included) would more than enjoy a meal at this Midtown Detroit spot. You won’t want to miss the deliciously savory Vegan Breakfast Burger, especially because it comes with yam fries! And sweet brunch-lovers shouldn’t fret — the banana buckwheat pancakes are made with 100% buckwheat flour. 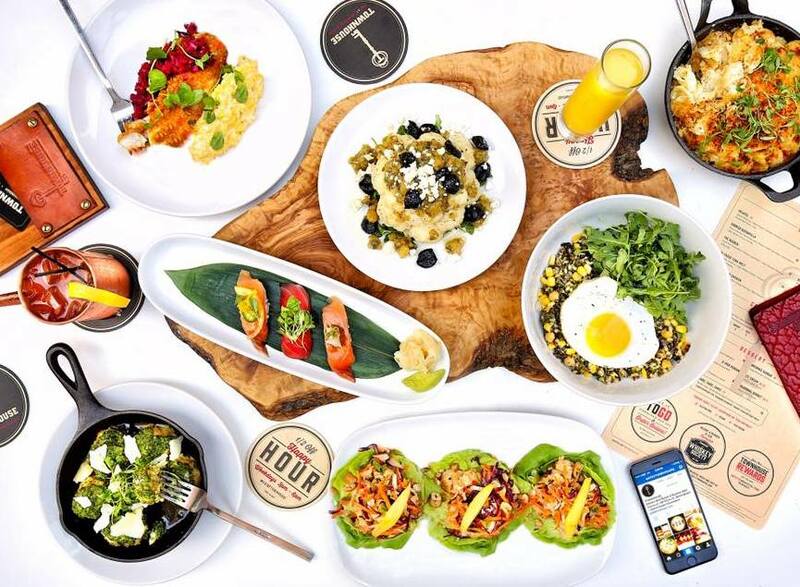 FYI: their brunch is exclusive to Sundays, so make sure you plan ahead. You can spot the lights of the Townhouse sign from anywhere on the main drag of Woodward Ave. Trust us here — you need to follow them. With a full section devoted to breakfast greens (Powerhouse Bowl is our go-to) and killer avocado toast, you can’t go wrong. Also, the vibes and ambiance here are incredible. It’s a perfect place to fill your belly and your Instagram feed. Toast is a friendly, retro-style hometown favorite with locations in Ferndale and Birmingham. Here, you’re you can explore a Ratatouille Skillet packed with roasted veggies and fresh eggs. Or, you can keep it classic with an epic avocado toast or an omelet (we love The Parisian). Toast is one of those weekend brunch places that you have to allocate time to wait (reserve a whole morning). But that’s a good sign, right? Fitt Tip: they serve up their breakfast fare all week long, so you can catch them on a Tuesday with no worries. 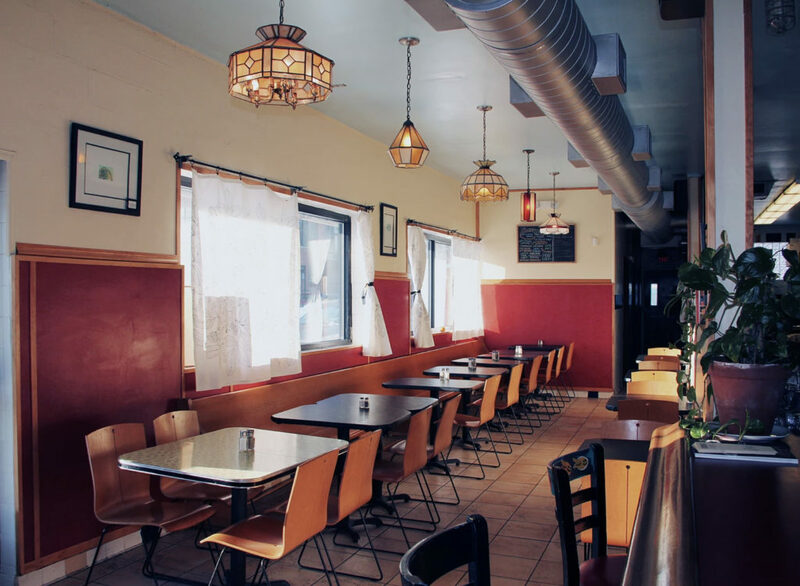 Occupying the Grand Army of the Republic Building, Parks & Rec Diner is a cozy, quaint little brunch spot that pays homage to the City of Detroit Parks and Rec Department. The restaurant focuses on using foods sourced from local farms—as well as the highest quality ingredients available—and making everything else in-house. Not only that, but they offer a ton of vegan, vegetarian, gluten-free, and nut-free items. With delicious offers like the Fisherman’s Board, Turkish Eggs, and Carrot Cake French Toast, you’re sure to find something you like.